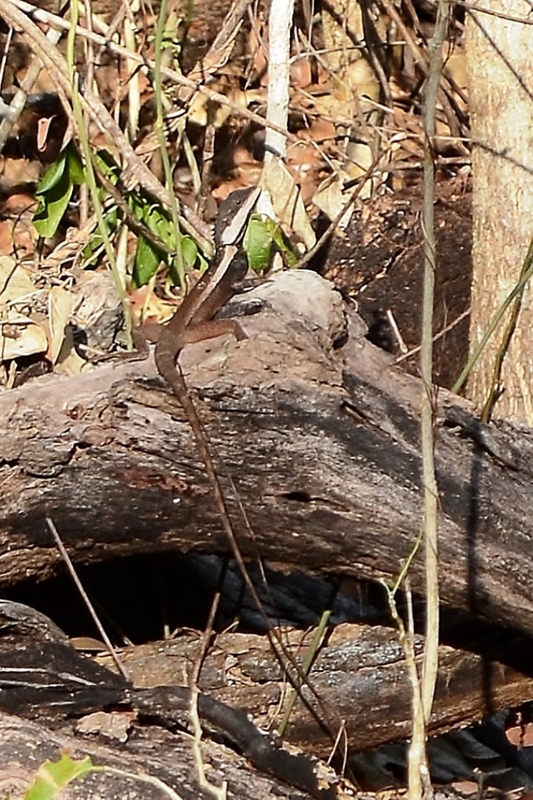 I had stuffed my back pack with a small medical kit containing a couple of bandages, a few bandaids, some dress, some antiseptic solution and sunscreen as well as a bottle of water and a few vegemite Vita-wheat biscuits. MrJ had his own water bottle and VHF radio and I had put another bottle of water in the dinghy for our trip ashore to do the 2hour hike through the Victoria Ruins. It was 0630hs. 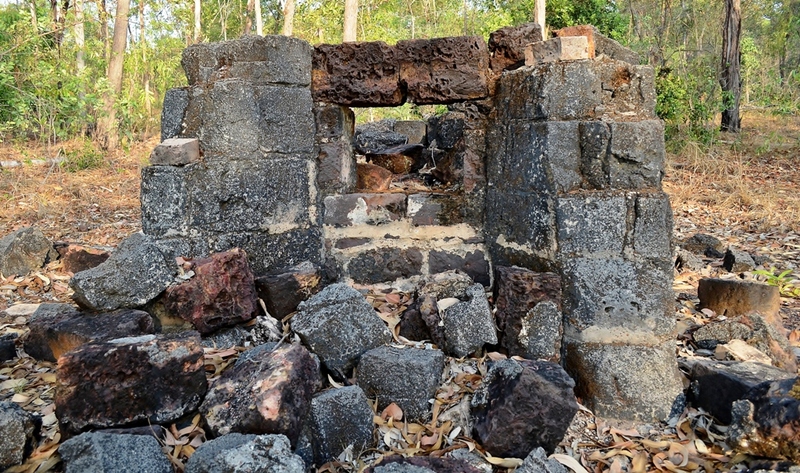 The Victoria Ruins was one of the first European settlements in Northern Australia along with Fort Dundas and Fort Wellington. Back then it was known as Victoria Settlement. 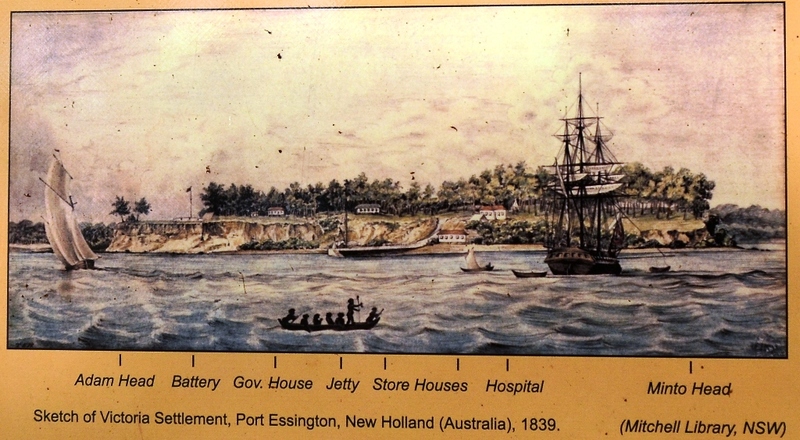 With the fear of the Dutch and French expansion in the southern East Indies, in 1818 Captain Phillip Parker King explored and named the Cobourg Peninsula and Port Essington. His surveys determined these three settlements. 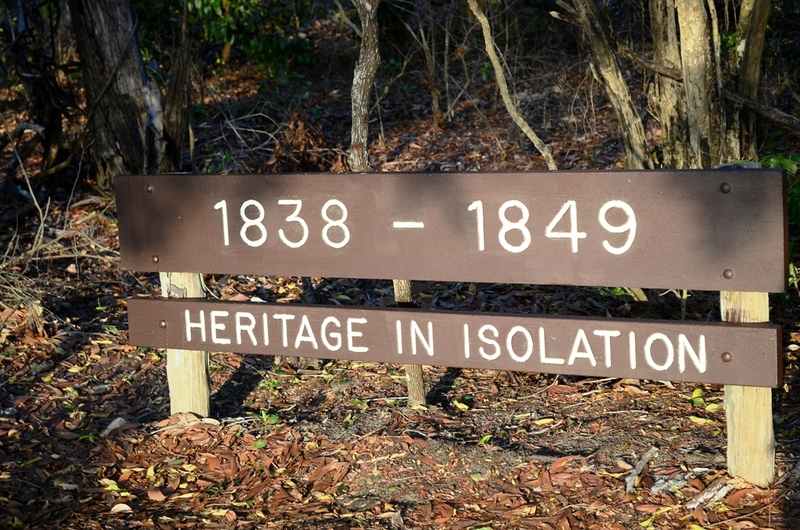 After the failure and abandonment of the first two settlements, Victoria was constructed in 1838. 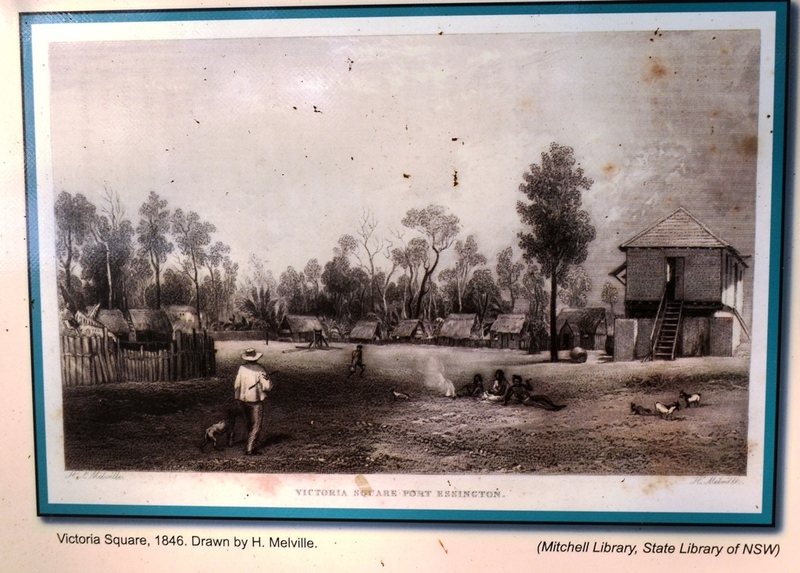 Shortly after its establishment the settlement of Victoria had developed the appearance of a considerable village. A Governor’s house, church, hospital and a collection of military buildings created a British colonial character. Cottages with shingled or thatched roofs housed the new settlers. Each cottage had its own small vegetable garden with crops of pumpkin, cabbage and a variety of fruit to supplement the settlements main gardens. Everything was going well for a while. But by seventh year progress on the Settlement had ceased. Expectations of trade didn’t happen and over the following years supplies became infrequent, sickness and death more common. Gradually the long periods of isolation, the oppressive conditions and climate drained the settler’s spirits and life. Buildings were no longer maintained and things became very ramshackle. The fate of the settlement was sealed. 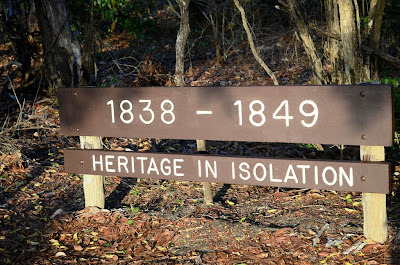 With some mixed feelings Victoria Settlement was abandoned in 1849. Some settlers were pleased to escape the hardships while others found it difficult in realizing that eleven years of miserable life had all been for nothing. 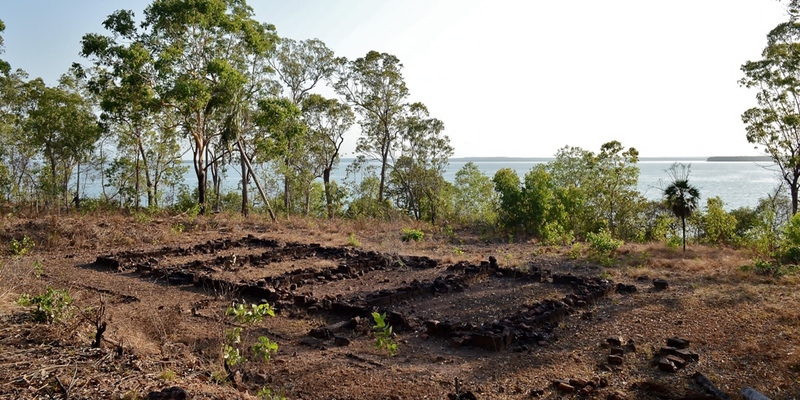 Long after Victoria Settlement was abandoned the region continued to be used by pearlers. Trepan fishermen, pastoralists, salt gatherers, buffalo shooter and timber cutters. MrJ and I started tour walk from the little stretch of sandy beach around from Adams Head where the walk is clearly marked by a National Parks sign. Past the beach and inside the bushland is where a few flagstones remain of the house, stockyards and boatshed built by John Lewis who came overland from Pine Creek in the early 1870’s. 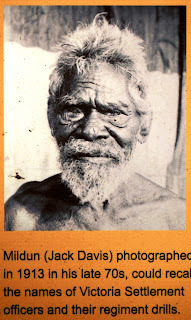 With his partner Lewis leased part of the Peninsula with the intention of supplying the Darwin markets with buffalo meat. 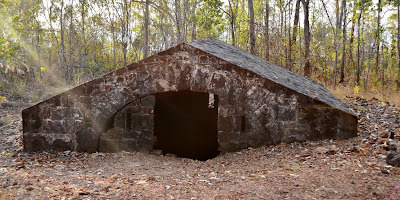 The stone to construct his building were probably taken from the settlement buildings. 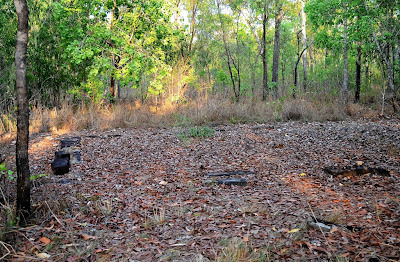 MrJ and I walked on further to Adams Head; this is where we came across a solid look structure which was the magazine. Ammunition for the garrison was stored in the magazine which was sunk into the ground to minimise damage in the event of an explosion. The magazine is all that remains of the fortification which once included a large square timber tower and blockhouse. Somehow we must have missed the Government House which was supposed to be not far from the magazine. 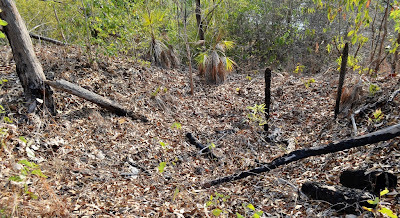 Maybe we missed the track or maybe the remains have been reclaimed by the bush.. (???) Government House was a series of stone piers with a prefabricated building that was transported from Sydney place on top. 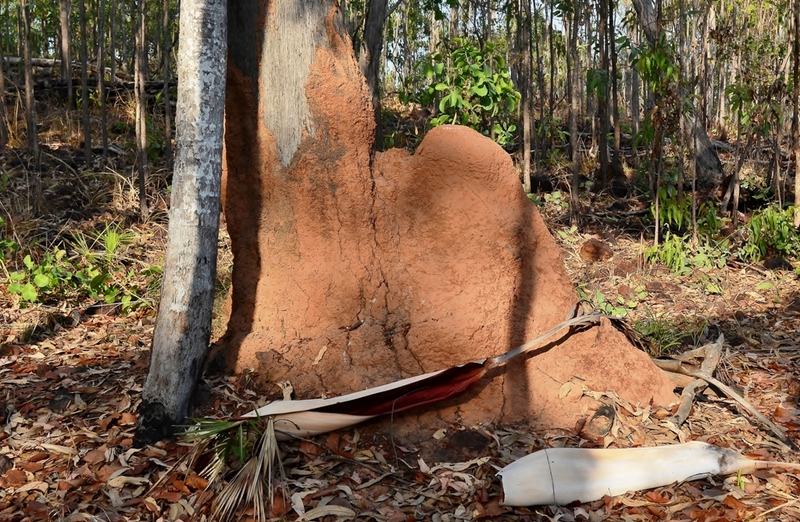 This was found to overcome the problem of having to level the ground, a raised building kept the termites away and kept it more comfortable in the tropical climate. A cyclone in 1839 lifted it off its piers and dropped it three meters away. 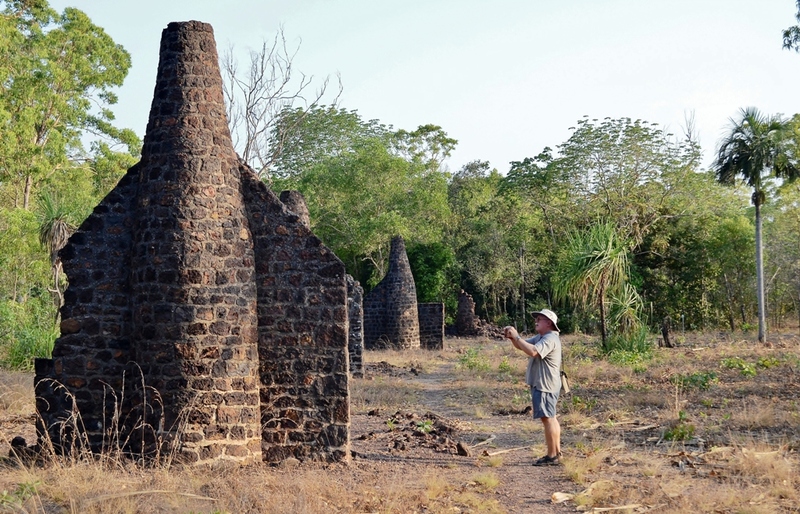 This was one of Australia’s earliest elevated dwellings, a style of building now common throughout tropical Australia. As the track wound further away from Adams Head we came across the several semicircular stoned chimneys of the married quarters. 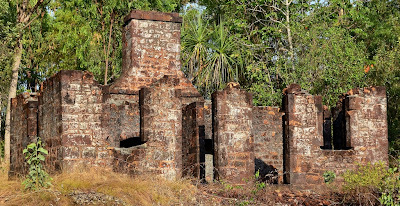 These chimneys were examples of distinctive Cornish round chimneys. Perhaps there were some Cornishmen amongst the Marines. The ironstone with which the chimneys were built was used extensively in the settlement and was quarried on site. 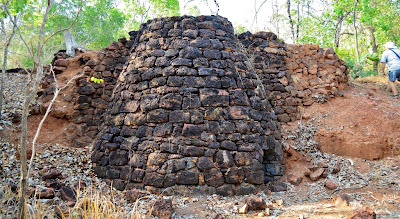 Timber was used in the construction of the buildings and the lime motor and rendering on the interior walls was probably made from coral and shells in one of the kilns in the settlement. The cyclone in 1839 had a tremendous impact on the settlement; stores were lost, buildings lost and Her Majesty’s sloop Pelorus ran aground. 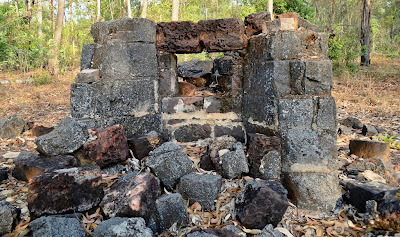 With the skills of the Victoria’s men and the use of local material rebuilding commenced. A sawpit was dug; the blacksmith made iron implements and fortunately for settlement a crew member of the Pelorus was a brick maker. He produced bricks for the settlement form clay, sand and ironstone while the ship was being repaired. Ironstone was commonly used in the buildings. The kilns were constructed of ironstone pebbles bound in clay. 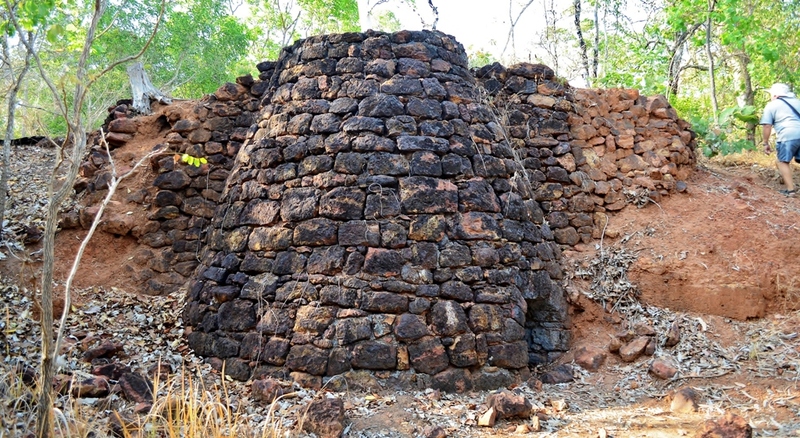 The kiln near the hospital is a good example of ironstone boulder construction. Close by the Smithy, one of the kilns and the hole where the well once was is the place where the old jetty had been jutting out over the cliff face. The original jetty was 43mts long and had been constructed in early 1839. 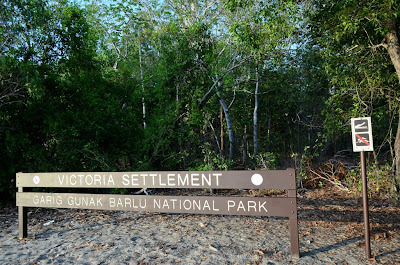 Destroyed by the cyclone later that year a second jetty was built short afterwards. But nothing remains that I could see. Walking further along the bush track thick with tropical vegetation on either side I did wonder at the hardships that must have been endured. MrJ and I came out into a clear that held the remains of the hospital and its kitchen. 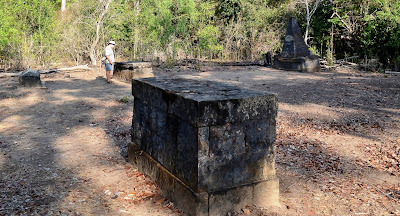 The kitchen must have been an all iron brick building as there was more of it left standing than the hospital which only the brick foundation were sticking out of the ground. The garrison suffered from dysentery, diarrhoea, influenza, scurvy and malaria. At times the hospital was crowded with half the garrison being desperately ill with fever and other only capable of light duties. At these times maintenance of the gardens, stock and buildings was not possible leaving the place in a shambles and the building fell into disrepair. Up on Minto Head there was nothing left of the gun replacement. 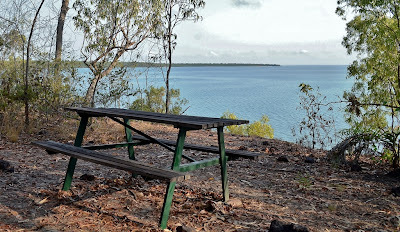 In its place was a picnic table for one to sit and look out over the harbour, to ponder on those days gone by while resting your weary feet and quenching that mighty thirst that the tropical heat can cause with the water that every hiker must carry. MrJ and I came across the ruins of two stores labelled as Quartermaster’s Store but the guide leaflet shows only one as a Quartermaster’s Store, the bigger bulk store, the other MrJ feels could have been the issuing store a smaller store with possibly a shopfront. 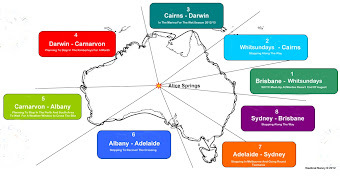 Stores for the settlement came from many places including Sydney, India, Timor and Kissa Island lying off Java. Stores often ran low, particularly medical supplies and surprise visitors like the survivors of two shipwrecks in 1845 weighed low on the supplies. 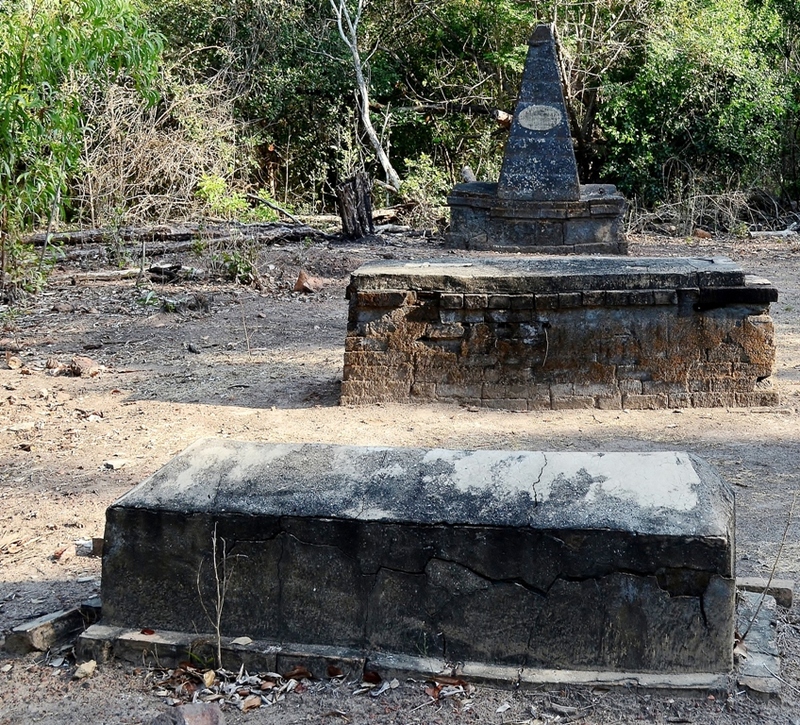 On the western side of the headland MrJ and I found the silent stones in the settlement’s cemetery that covered the remains of those dead from exhaustion or disease. Most people were stricken with malaria, taking the lives of almost a quarter of the residents. There were only a few large monuments for loved ones left standing and they were so weatherworn and aged that the inscriptions were almost illegible. The main garden had been adjacent to the cemetery but there was no evidence of that at all. 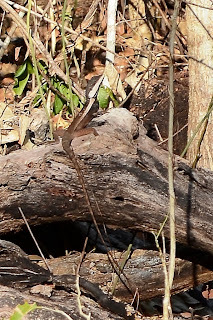 The main garden supplied the settlement with a range of crops such as bananas, oranges, lemons, tamarinds, sugar cane and guavas. 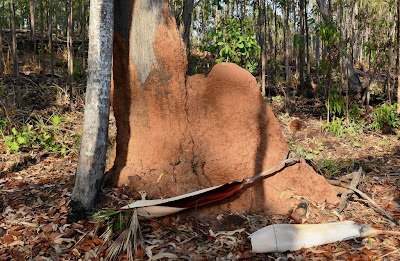 However, despite the settlers’ hard labour, poor soil soils produced disappointing crops and unharvested food was often eaten by rats. Agriculture never really rose above subsistence level. 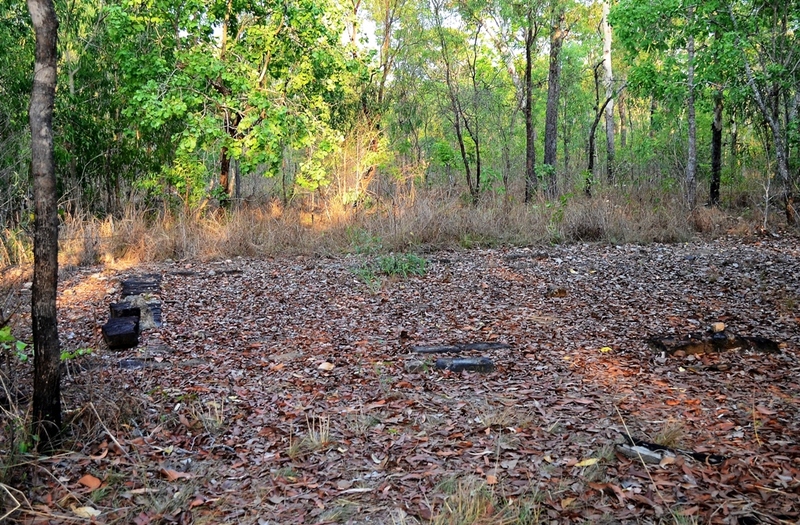 This is a land that has been left for nature to take over, taken over by bush, lizards, spiders and termites.